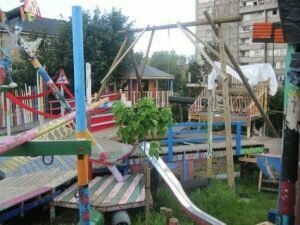 Famous Adventure Playground in U.K.
You will find Lollard Street Adventure Playground nestled in a neighborhood in London. At first glance, all you can see is junk and the lack of a neat and tidy look of a typical playground. When children arrive at Lollard Street Adventure Playground, their little imaginations kick into full throttle. It is quite entertaining to watch them invent, pretend and create. The living legacy Lady Allen left is present in each of the adventure playgrounds that are all over the world. Her concept and theory of play provided the stepping stone for the creations of these “junky” playgrounds. When a child arrives at an adventure playground, they are excited and ready to dig in and play. These playgrounds provide a productive environment to play. Children benefit from this concept of play in many ways. Spontaneous Free Expression: the playground provides the space where children are free to choose their form of play. Engagement in Types of Play: the playground provides endless opportunities to engage and have rich interplay with other children. Exploration: children explore the playground with a variety of senses such as physical, social, imaginary, and emotional while allowing them to tap into both physical and psychological experience. Social Interaction: children have the innate desire to use their imagination and a playground such as this provides the environment to do so. Giving and Responding Cues: children can engage in play that is on their terms. They follow cues such as facial, spoken or physical cues using materials indicating they desire to play. Participating in Cycle of Full Play: once children are done playing, their behavior or props are discarded indicating they are finished. Flexible Shared Space: children create things within the playground such as forts or huts and leave these things intact so upon their return, they can continue playing. The focus of this playground is aimed at supporting children and parents to have a place to play that is creative and encourages each child to be responsible for their behavior and play. Giving them space like this promotes self-expression while respecting what others have created. A sense of ownership is placed upon what they build and create. By giving children a place to freely play and call their own, it takes their attention away from hanging out in streets, being in a rut playing video games and becoming couch potatoes. Adventure playgrounds provide the space to exercise while engaging their minds. 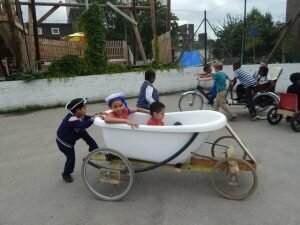 Lollard Street Adventure Playground does not discriminate or turn any child away. All children have the right to play freely. Inclusion breaks down barriers helping children to rise above. Playworkers are employed on the playground who work with children and parents to ensure that every child enjoys the time of play without any challenges. The playground is a place of equality through dialogue as well as play. What is offered at Lollard Street Adventure Playground? 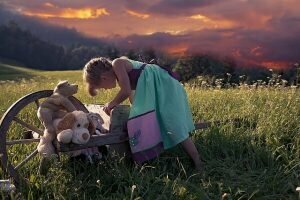 Adventure and imagination provide the basis of play opportunities. Children are supervised by playworkers to ensure they play safe. Playworkers are employed within the adventure playground to not only facilitate play but to provide the resources to the children they need to create and play. These workers will assist the children to assemble, disassemble and do whatever is necessary to empower the children to play without risk. Why aren’t there more Adventure Playgrounds in other countries? Lady Allen not only lived in the U.K. but also designed adventure playgrounds which quickly caught on in Europe. However, they are slowly making their way to the United States. Lady Allen gained a whole new perspective on what children wanted to play with. A shiny new playground with everything in its place was not attractive to the children. 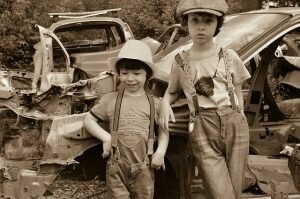 Their imagination was sparked more so with nothing more than junk. The parameters of these “junk playgrounds” allowed the children to dig, build and experiment. Adventure and creative play were significant factors in developing the playgrounds. Emdrup, Copenhagen was the home of the first “junk” playground. Lacking any man-made structures, this playground was built with junk materials. Children played in this playground where they could stretch their imaginations. Emdrup playground proved to be the beginning of many to come. Lady Allen went on to sell her home and moved into a new house which she renovated and built a garden around. During this time she wrote several books about gardening. Again, her attention was drawn back to the playgrounds for children. She began a new campaign to produce “adventure” playgrounds based on the Emdrup playground. It was time to move forward with plans and development of Adventure Playgrounds. The process of negotiations, dealing with neighbors that did not support the idea and the fundraising presented challenges. The first Adventure Playground opened welcoming children. These playgrounds were at full capacity as children rode trolleys down slopes, used sticks and such to dig, creative play was in full force with an atmosphere that was friendly and happy. Many more of these unique playgrounds followed and are now adopted in the design concept of playgrounds worldwide. Lady Allen’s vision to provide children with a place to play was realized. Her legacy thrives throughout the world with the theory of play that is evident in playgrounds. Children’s play had returned to a more organic root and is not forced, but rather allowed to bloom. Marjory Allen (Lady Allen) was a passionate leader who carried the joy of her childhood forward in her work. Her skills and talent in gardening placed her in the eye of the public as her reputation preceded her accomplishments. Lady Allen designed play parks throughout the world. Her vision was to create environments that fostered child’s play while incorporating her love and designing skills in gardening. Upon the death of his husband, she threw herself into work and the war effort as a means of distraction and healing from his death. Her best friend helped her to stay busy by planning the design of children nurseries to be established all over the U.K. In doing so, she became the Chair of the Nursery School Association. She and her peers developed, designed and fabricated easy to erect nurseries complete with staffing, toys, and furniture. During her work, Lady Allen discovered the suffering of orphan children while in the care of the state. The wretched living conditions these children were living in were not being monitored. After seeing the cruel and harsh environment the orphans were subjected to, she sought to bring about awareness to the public by contacting the local media. One such case of abuse these children were living under was Dennis O’Neill. He endured abuse that was fatal because of the foster home he was in and the lack of supervision from the state. Lady Allen wrote and published an awareness pamphlet called “Whose Children” which had factual information on the system’s failure to protect these children. As a result, a law was passed (Children’s Act 1948.) Fifty years after the law went into effect, the “Universal Nursery Education” was founded by Lady Allen. Marjory Allen made it her passion and life’s work to spread awareness for the advocacy of children. Awareness peaked as a result of a documentary film that was created by J. Arthur Rank highlighting Lady Allen’s children’s nurseries. Rank went on to make hundreds of films that were targeted towards children. These films became the foundation for the Children’s Film Foundation of which Lady Allen was Chair of. One particular film by Rank sparked a movement. His film “Double Thread” personified the plight of children. The success of Lady Allen’s work in helping displaced children led to the request of her becoming a part of the European Initiative. This group was devoted to finding a way to provide the security and education for orphaned children as well as those that were displaced from the Holocaust. Traveling through Europe with a stop in Copenhagen, Lady Allen visited the Froebel Institute to view a prospective new play area. While there she met Architect C. Sorenson. He was unhappy with the design of the playgrounds he created. He noticed the children playing more on building sites as opposed to playgrounds that were finished, neat, and tidy. The building sites were messy with junk strewn about. It was amazing how the children loved this. Based on this discovery of what the children prefer to play with, he began to design playgrounds centered on what the children played with more. Junk served as tools the children used to create and invent. 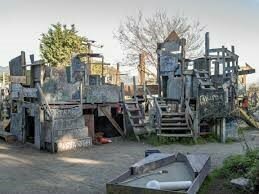 Sorenson went on to create more and more playgrounds based on the “messy and junky” playground concept. Taking a bold step, he designed a playground full of junk on a small parcel of land. 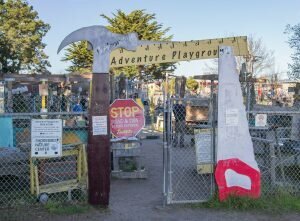 Lady Allen witnessed a “flash of understanding” from this junky playground. The world of play was transformed by providing the children with what they wanted to play with. Creative play required nothing more than simplicity! Lady Allen (Marjory Allen of Hurtwood, U.K.) built her theory on playtime for children based upon life experiences as a child. She worked with children that were not afforded the environment that fostered play. 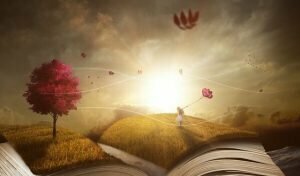 These underprivileged children did not have the secret places to create their world of imagination, and Lady Allen wanted to make that happen. Her story is such an amazing inspiration that one of my close friends became taken by her passion and started to donate a portion of his business proceeds (http://www.plumbersofpompano.com) to non-profit child welfare organizations. 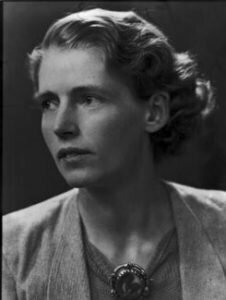 Marjory Allen obtained her formal education at Bedales, U.K. where she immersed herself in books. She walked away from Bedales with no degree or qualifications. Further on, Lady Allen decidedly chose to pursue gardening which landed her at the University of Reading, U.K. Her time was limited at this university because of her rebellious nature. Lady Allen was introduced to the aristocratic lifestyle through her brother (Colin) who was an artist studying near London. Cafe Royale was the locale where Lady Allen and her brother were to meet his socialite crowd. Sporting a trendy bob haircut and smart fashion sense, Lady Allen fit right in with the high-class style of mingling. It was quite ironic how through her life, she tended to surround herself with powerful and intelligent people. Friendships were never forced with such people but were organic and naturally formed. 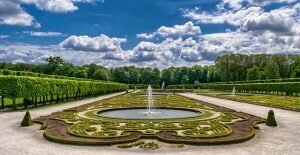 Lady Allen began to receive commissions for garden designing. 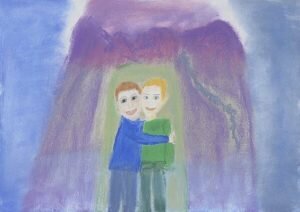 Her brother Colin invited her to join him in Rome where opportunity awaited to visit the vast gardens that blanketed the ancient city. It was in Rome where she began to get her ideas in how to create the beautiful gardens she envisioned. While in Rome, she met Clifford Allen who was a friend of her brother’s. Clifford was a diplomat who was a pacifist during World War I. He refused to conform to the roles placed within the armed services. While in prison the third time, he contracted TB and lost the use of one lung. This was to plague him and weaken him for the remainder of his life. Falling in love with Clifford, Lady Allen and he moved in together and married. Finding out that she was with child the excellent opportunity to design the gardens of Glyndebourne presented itself. She was about to embark on this gardening job and becoming a mother at the same time. Over time, Lady Allen and her beloved husband Clifford filled their home with children. The Allen family were somewhat liberal-minded and loved by their community. Lady Allen was faced with the prospect of being the breadwinner for the family because of her husband’s failing health. 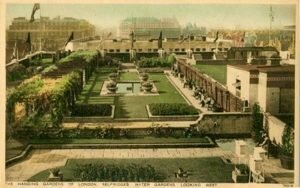 She was hired by Selfridges Store in London as their gardener who was to transform the roof into a wonderland of greens and flowers. Little did she know, she was embarking upon the beginnings of her lasting legacy! Her Excellency, Lady Marjory Allen of Hurtwood U.K. was an infamous advocate for children. She embodied forward-thinking about the theory of child’s play while bringing about change in society’s stance on the welfare of children. Marjory Allen grew up in the country on a small farm in Kent, U.K. with her parents and four brothers. The water company employed her father while her mother was a homemaker. Marjory’s childhood was memorable and full of play. 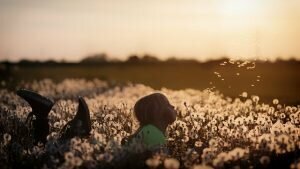 She roamed the countryside around the farm, and she lovingly recalls the freedom she had to explore and play. Her father and mother were founding members of a camping group as a result from her family camping every summer on the coast. She can recall the stormy nights spent in the tent while lightning and thunder surrounded them. To divert their minds from the storm, she invented a game called “Boules.” This game involved scouring the shore for round pebbles and chunks of beautiful rocks and such. This simple game was the first of many that she created that later became part of her theory on play. During her time on the farm, Marjory came down ill and was bedridden. Her brothers made a contraption of mirrors to allow her to see the garden. This gave her a window to the world while stuck in bed. Not only did her brothers care about her, but their creative ideas for play contributed to Marjory’s theory towards playtime. 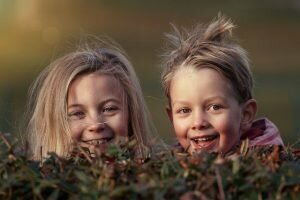 She and her brothers played in the nearby ponds and fields building dens and huts and pretending to be fun and interesting characters. Their imagination was limitless in creating an alternate world within the land that surrounded their farm. Farm chores were more fun and play than boring for her and her siblings. The children learned the craft of growing beautiful flowers and vegetables while making butter and cheese from the milk they got from their cows. The smells and sights of the farm and country are pressed upon her memory which she treasured immensely. What is Lady Allen Trust? It was later in her adulthood that she took her life experiences, pleasures and memories from her childhood and focused on developing a fundamental theory of play for children worldwide. Her platform served as the foundation in establishing the mystery and enchantment that served as the basis of playtime for children. 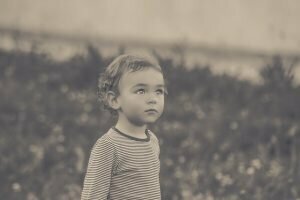 This platform became known as “The Lady Allen Trust.” A truly valuable perspective that has been adopted by parents, groups, and countries worldwide regarding playtime for children. Your life was an exemplary display of passion, love, empathy, excellence, and joy. Your dedication to the welfare of children was esteemable, noble and what every adult should aspire to, for children are our future. We must teach them well and let them lead the way. You showed people the beauty these kids possessed inside. You gave them a sense of pride and in doing so we are encouraged to remember a time when everything was simple and life wasn’t so challenging. 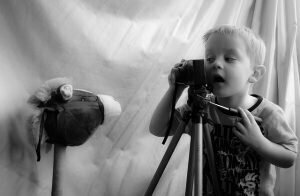 The childlike spirit is unlike any other fascinating expression of life. We are grateful and eternally thankful for your work. Your legacy, memory, and inspiration will live on through this blog!